Deciding to sell your home can be a difficult decision in itself, let alone deciding how to go about it. Should you try to sell the home on your own? What price should you ask for your home? How will the home be marketed? If you decide to list your home with a real estate agent, who should you choose? gaining exposure to the biggest pool of Buyers. Trust, reputation and personality are all important to consider when deciding on an agent to list your home. Clarified expectations and a mutual understanding of the current market conditions are imperative for both the Seller and the agent, and will help to provide a smooth and seamless transaction. Give us a call, or complete a Missoula Market Analysis Request today! 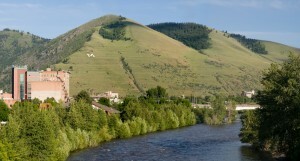 How do commissions work if I agree to list my Missoula property? The way that commissions are divided can be very confusing. Let’s say that the commission is 6% on a Missoula property, which is pretty common. That 6% is then split between four parties – the listing agent, the listing brokerage, the buyer’s agent and the buyer’s brokerage. When the home is listed on the MLS, the portion of that percentage that is being offered to the buyer’s agent/buyer’s brokerage is noted on that listing. Then, each agent has a split with their brokerage as to who keeps how much of the commission. This amount can vary by office and agent. The breakdown of splits can be any agreed-upon setup, but when we list a home, we always split the total commission equally with the buyer agent side, as we feel that this is most fair. So, as an example, let’s say that a house has sold with a 6% commission. We, as listing agents, would offer 3% to the buyer’s agent/buyer’s brokerage on the listing. When the house closed, we would retain a portion of the 3%, and Windermere Real Estate would retain the other portion of the 3%. Similarly on the buyer’s agent side, the buyer’s agent would split their 3% with their brokerage. What if the buyer wants me to fix everything, or give them a large credit after the home inspection? After a buyer has their inspection, they will submit a form called an Inspection Notice. This form will state all of the issues that showed up on the inspection, and will also list out what things they want you (the seller) to either fix, replace or credit monetarily. They are also required to provide you with a copy of the areas of the inspection report that show the issues they are claiming. At that time, you (as the seller) will have the chance to respond to the inspection notice with (1) a different solution (for example, you may agree to do some of the things, but not all); (2) complete agreement of the terms listed on the notice; or (3) completely decline the inspection notice. As you can guess, there are a number of different ways these things can go, but they are all negotiable, as long as we stay within the timelines agreed upon in the original Buy-Sell agreement. Most importantly, just because a buyer asks for something on an inspection notice does not require you to fix it and/or pay for it. What are my closing costs likely to cost? Closing costs on the seller side can range in amount, due to the cost of taxes, mortgage payoff, etc. The following items will likely be part of the seller’s closing costs: title insurance (based on the sales price of the home), closing fee to the title company (usually $250), pro-rated taxes to bring the taxes current to the date of sale, payoff of any SIDs (if there are any, and if it is agreed to in the buy-sell), any homeowners’ association dues to bring current to the date of sale, recording fees, commissions, and payoff of any current mortgage and interest. We will always provide you with an estimate of costs associated with closing both at the time of listing, and when receiving an offer from a buyer. Why do I owe on taxes at closing when I pay my taxes on time every year? Taxes in Montana are always paid in arrears. This, unfortunately, leaves you owing money even right after you pay. Taxes are due in May and in November of each year. When the taxes are paid in May, they are actually paying for the last ½ of the prior year. When they are paid in November, they are paying for the first ½ of the current year. If you have an escrow account set up with your mortgage company, you probably don’t even notice these due dates, since your escrow account pays these for you. As an example, let’s say that your house closed on Dec. 1 of any given year. At closing, in order to bring your taxes current to the date of sale, you would have to pay for the amount from July 1 through December 1, since the taxes paid in November were for the 1st half of that year.